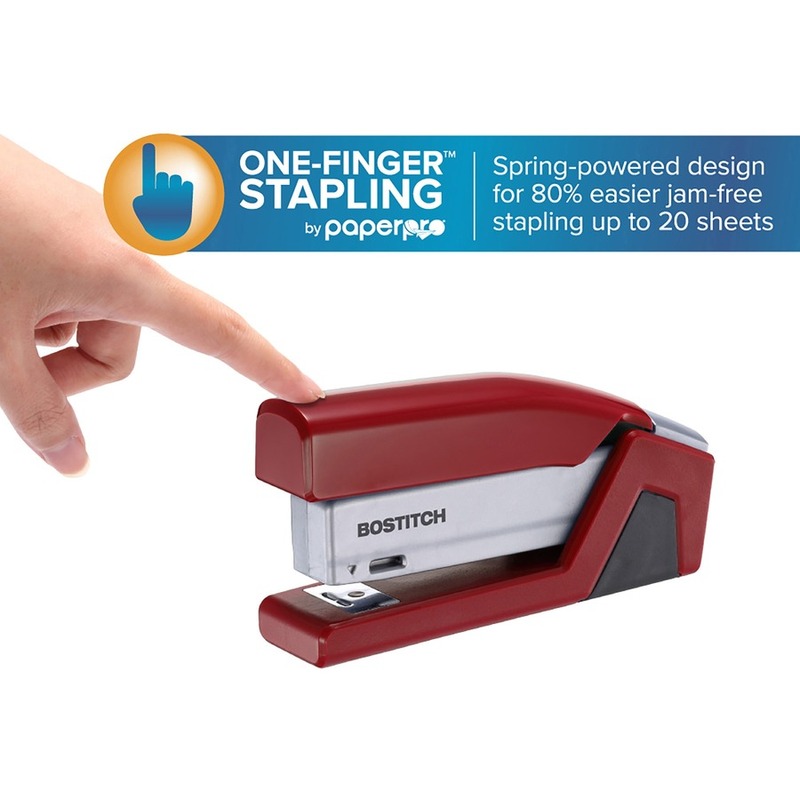 With PaperPro One-Finger technology, make stapling more efficient and 80 percent easier. The simple push of a finger staples up to 20 sheets of paper. 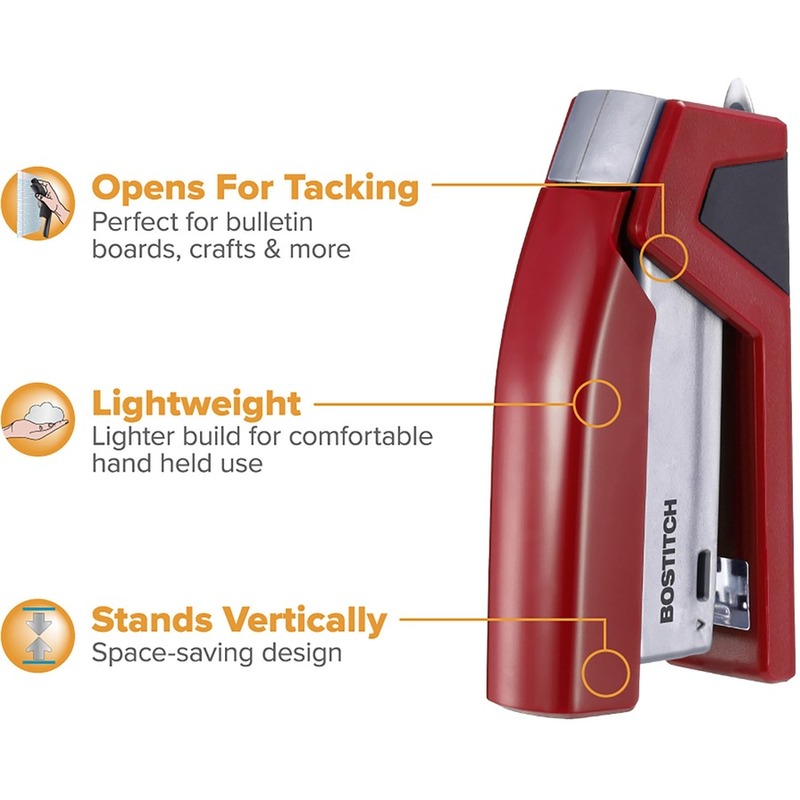 InJoy stapler is compact with smooth curves and a lightweight build for comfortable handheld use. 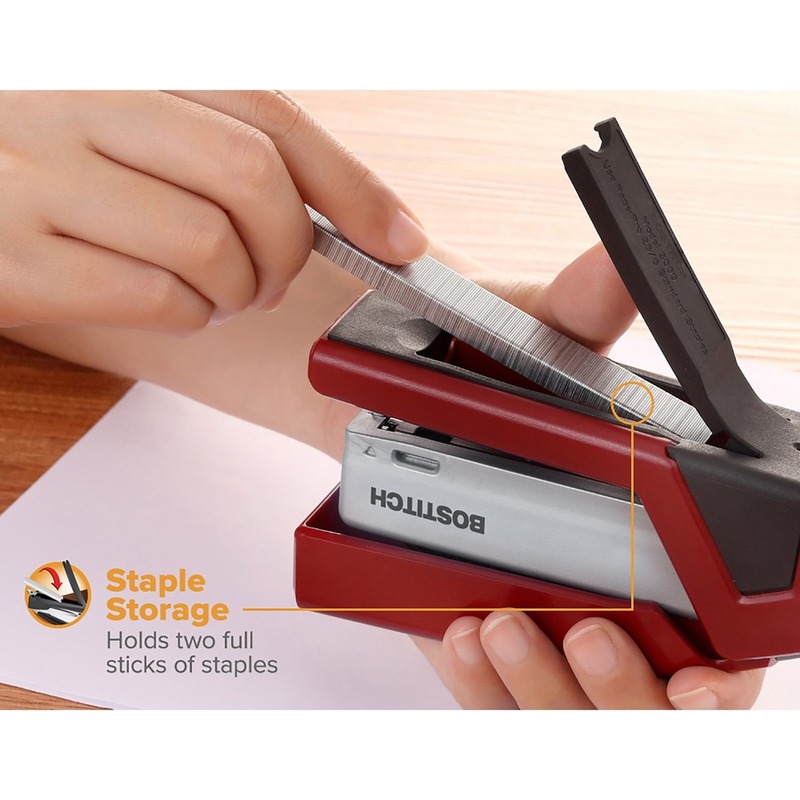 Conveniently integrated is a staple remover and staple storage compartment that can hold up to two half-strips of staples. 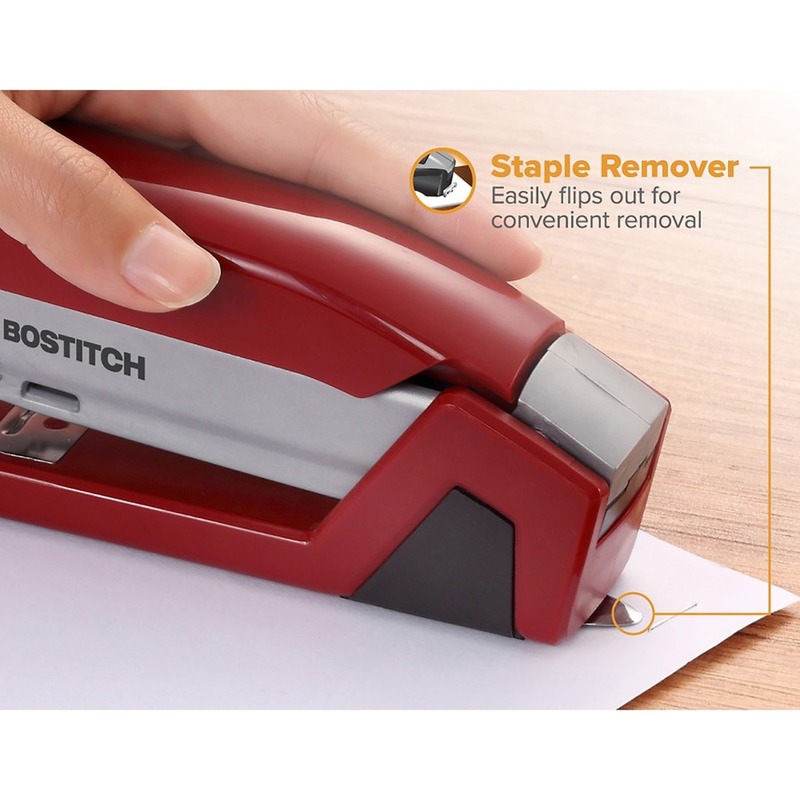 Stapler offers jam-free operation and opens for bulletin board tacking. Nonslip base provides stability and tabletop protection. 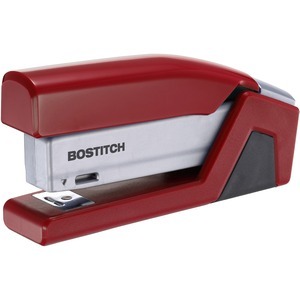 Stapler uses standard staples.